Opāru in Pursuit of pop! 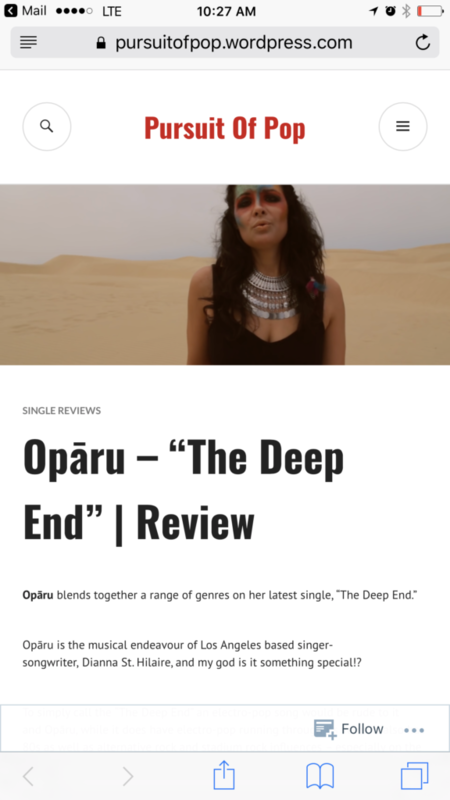 Opāru was just featured in Pursuit of Pop magazine! Here’s a taste of the write up! To simply call the “The Deep End” an electro-pop song would be rude to it and Opāru, while it does have electro-pop running through its veins, it also has 80s as well as alternative rock and stadium rock influences – especially on the final chorus!